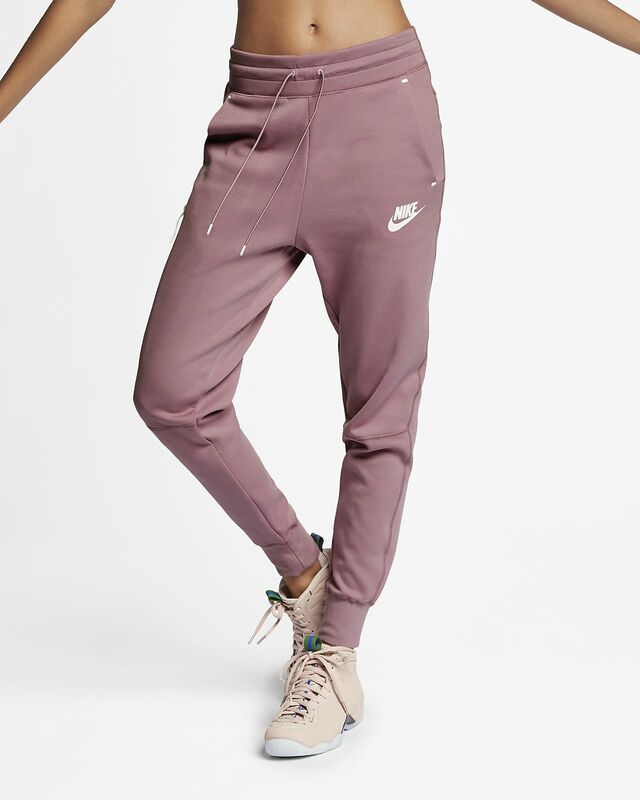 The Nike Sportswear Tech Fleece Women's Pants feature a high-waisted design and breathable, lightweight fabric for all-day, everyday comfort. The Nike Sportswear Tech Fleece Women&apos;s Pants feature a high-waisted design and breathable, lightweight fabric for all-day, everyday comfort. Fabric: Solid and heather: Body: 69% cotton/31% polyester. Pocket bags: 100% cotton. Solid or heather: Body: 67% cotton/33% polyester. Pocket bags: 100% cotton. These don't seem quite as thick as a pair I bought a few years ago. While the grey ones are described and pictured as "dark grey", they are much lighter in person. I will definitely still keep them but not exactly what I was expecting.